On my way to Phuket, Thailand, I had a scheduled layover in Beijing (PEK) for twelve hours. Of course I wasn’t going to stay in the airport for that ridiculous amount of time, so I decided to hire a driver so that I could check one of my bucket list items off. I was determined to finally visit The Great Wall. I already have a ten-year Chinese visa from when I took a trip to Shanghai a couple years ago, however, if you do not have one, you’re able to acquire a FREE 72-hour visa upon arrival at PEK. Cablecar ride up the mountain to The Great Wall. Mike (my driver) picked me up at 7AM. The ride to the Great Wall is about 1.5 hours since you are leaving the city and going to the countryside. When you get to the wall, you have a couple options on how to get up the mountain and back down…both cost the same (¥120). I chose the cablecar/toboggan option because it seems more fun. Those who aren’t really up for the adventure should choose the ski-lift option. If you’re cheap, you can opt out of both options and just walk up…but nope! The great thing about going in the morning is that you are beating the crowds there! When I got to the top, I just took time to walk back and forth taking in the view. Since I was solo, I was not shy about asking strangers to use my phone to take shots of me. Around 10:30-11:00 AM, more tourists started arriving but it still wasn’t overwhelming. It’s important to note that walking up and down the slopes on the wall is not as easy as it looks. There are a lot of stairs. I saw a lot of people stopping to catch their breath…okay, I saw myself doing the same, LOL. Take your time and you’ll enjoy yourself. I was up there for about 2.5 hours. I was extremely pleased with my decision to take a toboggan down the mountain. It was fun and safe. The handle that you hold on to when you’re going down is also a brake. When you’d like to slow down, you just pull back on the handle. For about ¥120, you get a round trip up and back from The Great Wall. This includes a cable car ride up, and a toboggan ride down. After getting all I needed from The Great Wall, Mike took me to a home kitchen about ten minutes away. 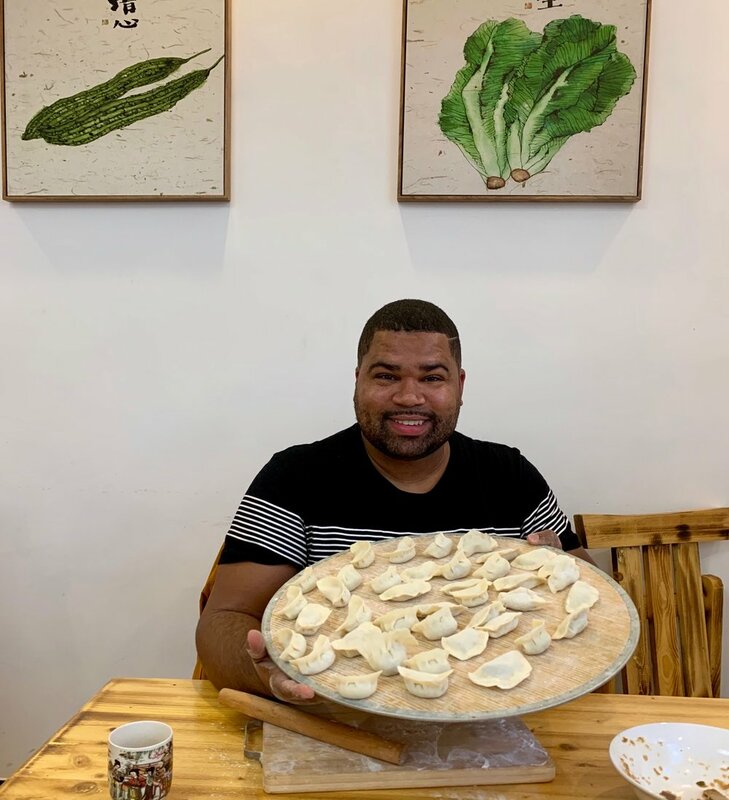 I had a private dumpling-making session and a home-cooked Chinese meal. This cost about ¥150 and I left extremely full. We ate the dumplings along with some tofu and stir-fried green beans. All of the food tasted fresh, and the cook was extremely friendly and helpful. After finishing our meal, Mike got me back to the airport at around 3:00PM, with plenty time for me to spare before my 5:30 PM flight to Phuket. I killed time by chilling in the Air China First Class Lounge courtesy of my Priority Pass membership (shout out to the Platinum American Express). Make sure you go to the correct line to acquire your 72-hour visa. Do not be afraid to ask the airport workers exactly where you need to go. The more people going on your Great Wall excursion, the better. Since I went solo, I paid more than say 2-4 people would pay. Basically you are paying for the ride, so if you’re carpooling, your ride is cheaper. I always use the ATMs at the airport when I arrive at an international airport. It makes everything easier. Take out enough cash to pay your driver, plus any other purchases you intend to make. 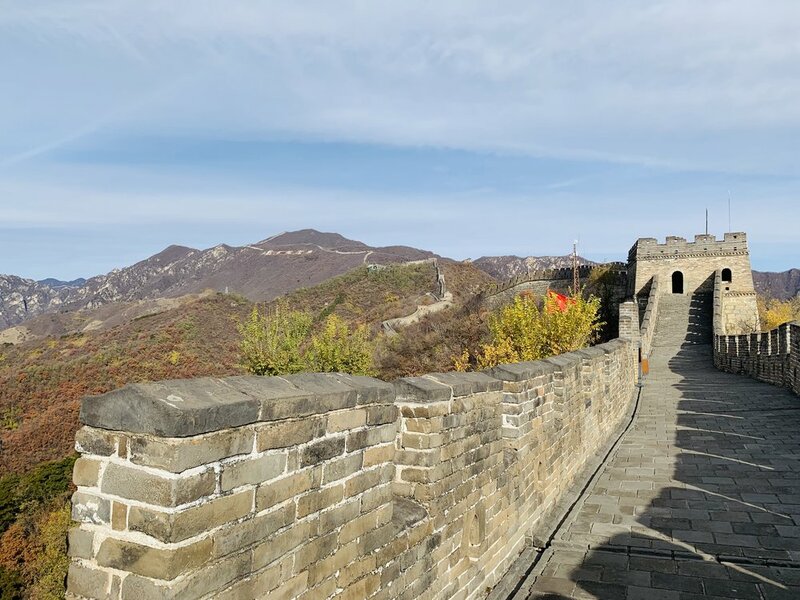 When taking pictures on The Great Wall, make sure you are facing the sun for the clearest shots. Obviously, if the sun is behind you, your shots will look dark and unclear.